With a major snowstorm "paralyzing" a vast swath of the nation, my curiousity got the best of me and I found this photo taken in Oklahoma (Oklahoma City?) mere minutes ago. The drifts in this alley look to be no worse than what we'd experience here in Minnesota during a typical snowstorm. I thought this blog was about great pictures of Minnesota, not poking fun of other states. I'm from Oklahoma and you need to get your story straight. NE Oklahoma was hit hardest, you need to google that instead! If you want a pic I'll send you one of my car completely covered w/snow! So put your two cents back in your pocket where it belongs! How is this photo picking on other states? The photo was taken as the storm hit. 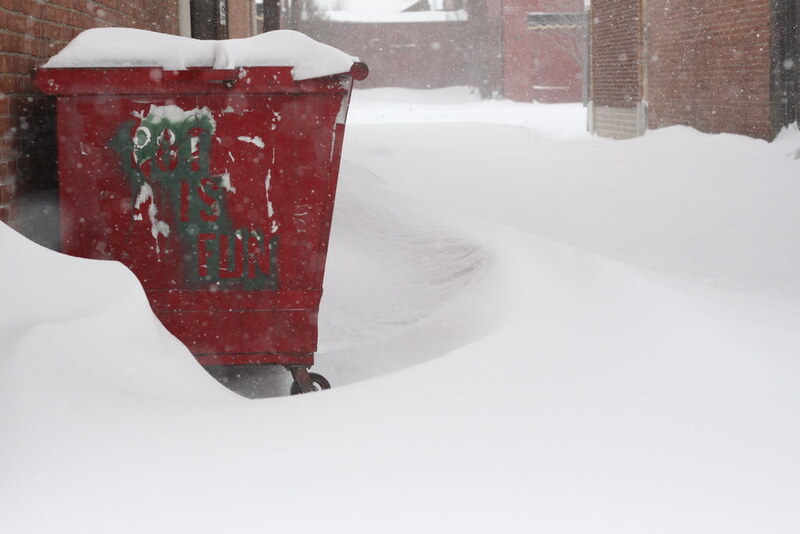 The drifts were over 6' in the alley after the storm mover on.